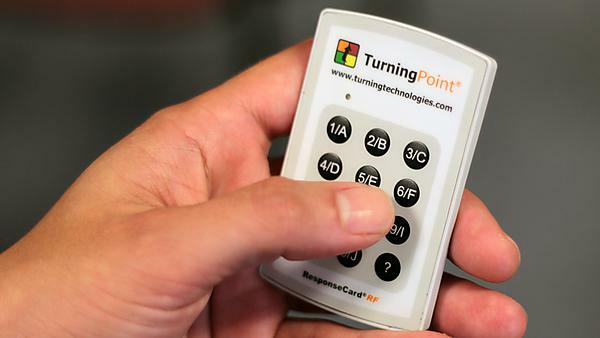 I wanted to create multiple choice questions that can test student knowledge and understanding live and so I used clickers as an enabling tool. I did that because from previous experience of teaching the module, students found the Control section very challenging and struggled with some mathematical concepts. It also then formed part of my PGCAP submission. Students took to it immediately. The interesting part was when majority of them got it wrong and discussion that generated. They seemed more engaged and generally enjoyed the interactivity. Lessons learned – what didn’t go so well? In the first session, Turningpoint did not work. That was interesting, however, as the question were prepared I carried on and asked them to give me answer by show of hands. Clickers are not readily available so must be booked in advance. Otherwise, it went very well. Student feedback was very positive. They generally felt that my teaching method made it easier to understand an otherwise difficult topic. Staff are on not completely on board. That is also because of the time commitment needed to amend the lecture notes to embed clicker questions. I am developing moodle quizzes and will be using them in my current module alongside clickers. However, clickers will be used in the revision session only as the cohort is very large and I will be running revision sessions in smaller seminars. I will continue using digital tools in classroom as they are ideal in generating interactivity.